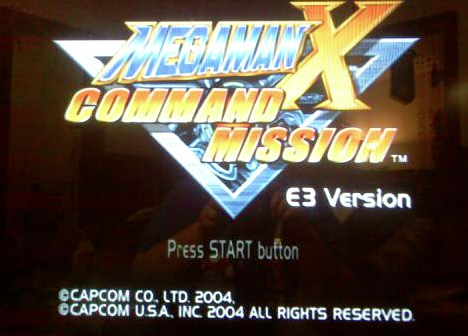 By popular demand, here's a re-up of the leaked Mega Man X Command Mission E3 demo from a couple years ago. It might not be the most significant prototype we've come across, but it's still pretty neat. Grab it here! For more information about the demo's contents, hop on over to the Cutting Room Floor. If you guys need additional mirrors, let us know. We'll work something out. Thanks to MidniteW for supplying the re-up! Wow. I can't wait for someone to open this up. My computer can't play much past PSX, so I'm out. Christ, no wonder this game sucked so bad. @Anonymous #2: Your opinion, of course. I loved Command Mission. 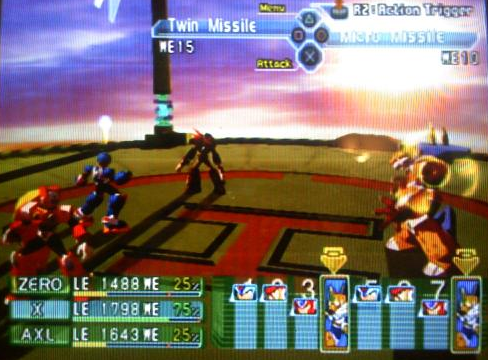 Command Mission was a great game. Had a great soundtrack too. I too hope someone uploads the gameplay of this demo. Uh, I kinda did because it was me and my friend (Psy who bought the discs) and myself (who confirmed it was the E3 version / took screenshots of game in progress) .. So, without ANY further ado.. link to my youtube video of game in progress. Anyway. yah. Have at it all. Oh, I didn't mean to discredit anyone. Midnite merely got us a new server. Same file. @Protodude: Meh? o_o; I wasn't saying you did. 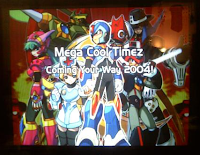 But I linked the video for MegaMac since he didn't seem to know there was video of it. I just re-DL'ed it again myself. @_@;; She and I both have had a few harddrive failures this past year and alot of data lost so.... egads. Oh, BTW. I wanted to ask.. did you know of the awesome MMD models of X/Zero/Axl/Iris/Vile etc being made by some VERY DEDICATED Japanese fan? They are truly awesome and may be worth a post about. "MUST BE PATCHED WITH ESR PATCHER"
That's an odd requirement. I've used several PS2 disk images and none have needed to be patched with ESR. Thanks Wolfshadow. I searched YouTube but didn't see that. =P Perhaps it should be added to the article? It's down again, and in less than what, 5 months? the file was deleted,he could level up again? Personnel who downloaded this game, because none of you guys want to lvl him again on another server?